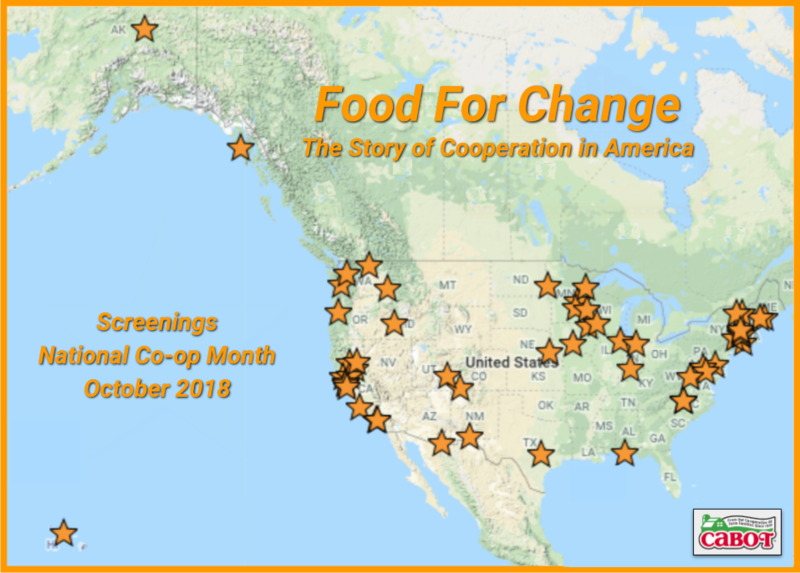 Join Prairie Roots Food Co-op and Ugly Food of the North Sunday, October 23rd at 3 p.m. for a screening of the documentary Food for Change in celebration of National Co-op Month. $5 admission, family friendly and all are welcome. Prairie Roots board members + the new General Manager, Kurt Kopperud, will be available to answer questions about the store and enroll new members before and following the screening. Prairie Roots Food Co-Op is dedicated to building a healthy community by providing access to natural, organic, and local food. We plan to open a retail food co-op in downtown Fargo on the corner of NP Avenue and University. You can be part of making our vision for opening a locally-owned grocery store in our community by becoming a member-owner of our cooperative. Over 1,000 people from the community have invested in this idea, and our goal is 1,500 local owners by the time we open the store next year. Your ownership now will help us raise the equity we need to open our doors through your membership and through additional investment opportunities. Each member-owner has a voice in our cooperative and can attend the annual meeting, vote for who is on the board of directors and even run for the board. Anyone can shop at our new store, but member-owners will get special discounts and benefits. And together, the member-owners will decide what we do with our profits.